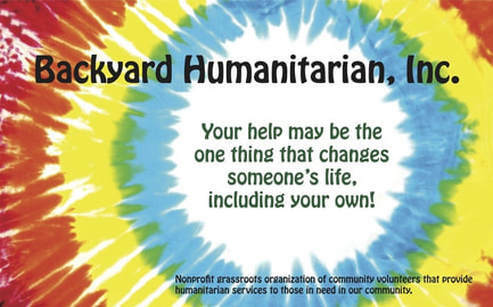 A Backyard Humanitarian Team in Your Community. Starting a Backyard Humanitarian Team in your community can be an amazing experience. If you like helping people, volunteering, coordinating, coming up with solutions to make your community better, these are invaluable gifts you can share to inspire others. I loved building our first team in Stamford, CT with my friends and family. I could not have done any of it without their support and inspiration. We started with a few casual meet ups & a few projects; volunteering at the soup kitchen, a coat drive and holiday wish lists. With more ideas, came more projects and even more people joining in and sharing their ideas and efforts. We have since completed close to 200 projects. More than 1,000 people have volunteered and even more have helped in some way. We've worked with over 50 business and teams who have joined in to support many causes. We have donated countless hours. We have cooked and served thousands of meals, we've helped to give away thousands of bicycle helmets to kids. We have walked miles and miles and climbed hundreds of steps to support cancer research. This year we are on track to have collected & given more than 10,000 warm coats. We have seen first hand, time and agin, how much it matters to people. How much it matters to us!